This week's Favorite Scene Friday and the latest addition in our Escape-athon series is by none other than returning guest Jess Manzo from French Toast Sunday! 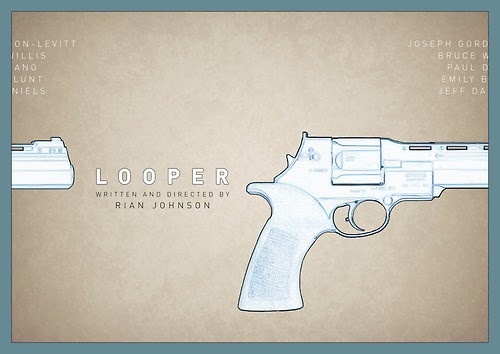 One of the best sci-fi movies of recent years is most certainly Rian Johnson's Looper. This time travel thriller was awesomely inventive and felt super fresh for a genre that's been done over and over again with similar results. The film starts with an assassin of sorts. Joe (Joseph Gordon-Levitt) kills hits sent back from the future for cold hard bars of gold. His cold and calculated attitude is rocked when his future self ends up appearing in front of him. 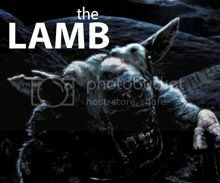 He hesitates long enough for Old Joe (Bruce Willis) to escape, and Young Joe must go on a manhunt for his own self. He knew that one day he would have to close his loop as they say, but his future self is not ready for it to end. One of my favorite scenes isn't necessarily the flashiest, but it contains some of the most interesting dialogue in this film and definitely my favorite line. Young Joe coaxes Old Joe to meet him at his regular diner by carving the word "Beatrix" into his arm (too bad he didn't remember the weekend server Jen). They come face to face for the second time, but this is their first chance to really study each other. Young Joe isn't really impressed by who he turns out to be, while Old Joe is disgusted by the arrogance and naivete of his younger self. I love how things come to a head in this very bizarre experience between the two. When Young Joe brings up that Old Joe's face looks backwards it's one of those nicer little details that you wouldn't think of right away. The idea that you could be with another version of yourself at the same time is such a far out concept that I can't help but be fascinated watching their profiles examine each other. Old Joe explains how whenever Young Joe alters the timeline it changes Old Joe's memories and they get hazy. My favorite line of the movie is a bit of screenwriting genius. The line is when Old Joe says "I don't want to talk about time travel because if we start talking about it then we're going to be here all day talking about it, making diagrams with straws." Saving himself from having to explain the mechanics of time travel, Johnson just brilliantly threw out the need for exposition. It's also perfect because after seeing this film, my friends and I basically needed to put together straw diagrams to explain our theories on this film to each other. A great piece about this scene can be found here, where Johnson discusses his writing process. Awesome scene! Looper was one of my favorite movies to watch last year. My favorite scene might be the ending where everything comes to a head in the crop fields - very suspenseful on what the child will do. Oh yeah, there's a lot of really great scenes. Another one that stands out is when Paul Dano's future self is being affected by the torture to his younger self. I love the ending. You have no idea how the scene is going to play out, but I think it went the best way possible. I don't care what anyone says, Looper is just as good a time travel film as TimeCop. I think Bruce Willis turned in a great performance, as did JGL and scenes like this where they play off of each other are wonderful. The time travel mechanics in this film are pretty great (I'm sure it could be nitpicked but there are worse offenders). Thanks for the scene! Au contraire, Time Cop is far superior but Looper is a close second. If only there was a scene where Young Joe froze Kid Blue's arm and kicked it clean off.